God runs electromagnetics on Monday, Wednesday, and Friday by the wave theory, and the devil runs it by quantum theory on Tuesday, Thursday, and Saturday. I understand that at least three states are trying to repeal daylight savings in their states as of 2014. 1981 Time (p. 51) reported that Educational Testing Service had to change the scores on 250,000 PSAT and 19,000 SAT papers because a student had successfully challenged a mathematical question about polyhedrons with no right answer. Mathematics Magazine 54 (1981), pp 152 and 277. *VFR Daniel Lowen, 17, a junior at Cocoa Beach High School in Florida was the first to call the ETS attention to their error. The problem involved putting two pyramids together and determining the number of faces on the new figure. The ETS had failed to allow for the fact that when two faces are joined, other faces meeting at the edges of the union might meld into one face. 2011 The first ever "On This Day in Math"... thanks to hundreds of you for all the help. He makes the first step towards a theory of invariants, which at later stages derelativises the system of reference and removes arbitrariness. Algebra makes it possible to recognise the typical problems in geometry and to bring together problems which in geometrical dress would not appear to be related at all. Algebra imports into geometry the most natural principles of division and the most natural hierarchy of method. 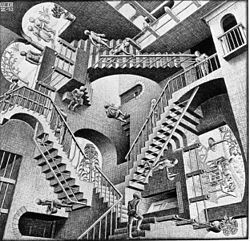 Not only can questions of solvability and geometrical possibility be decided elegantly, quickly and fully from the parallel algebra, without it they cannot be decided at all. Bezout's theorem was essentially stated by Isaac Newton in his proof of lemma 28 of volume 1 of his principia, where he claims that two curves have a number of intersection points given by the product of their degrees. The theorem was later published in 1779 in Étienne Bézout's Théorie générale des équations algébriques. Bézout, who did not have at his disposal modern algebraic notation for equations in several variables, gave a proof based on manipulations with cumbersome algebraic expressions. From the modern point of view, Bézout's treatment was rather heuristic, since he did not formulate the precise conditions for the theorem to hold. This led to a sentiment, expressed by certain authors, that his proof was neither correct nor the first proof to be given. 1795 Louis Paul Emile Richard (31 March 1795 in Rennes, France - 11 March 1849 in Paris, France) Richard perhaps attained his greatest fame as the teacher of Galois and his report on him which stated, "This student works only in the highest realms of mathematics.... "
It is well known. However, he also taught several other mathematicians whose biographies are included in this archive including Le Verrier, Serret and Hermite. He fully realised the significance of Galois' work and so, fifteen years after he left the college, he gave Galois' student exercises to Hermite so that a record of his school-work might be preserved. It is probably fair to say that Richard chose to give them to Hermite since in many ways he saw him as being similar to Galois. Under Richard's guidance, Hermite read papers by Euler, Gauss and Lagrange rather than work for his formal examinations, and he published two mathematics papers while a student at Louis-le-Grand. 1806 Thomas Penyngton Kirkman FRS (31 March 1806 – 3 February 1895) was a British mathematician. 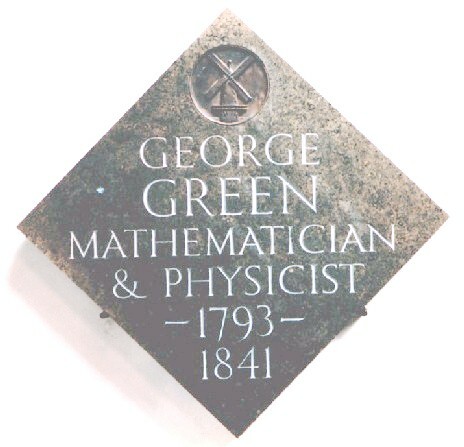 Despite being primarily a churchman, he maintained an active interest in research-level mathematics, and was listed by Alexander Macfarlane as one of ten leading 19th-century British mathematicians. 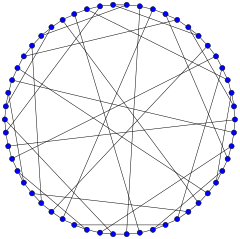 Kirkman's schoolgirl problem, an existence theorem for Steiner triple systems that founded the field of combinatorial design theory, is named after him. Kirkman's first mathematical publication was in the Cambridge and Dublin Mathematical Journal in 1846, on a problem involving Steiner triple systems that had been published two years earlier in the Lady's and Gentleman's Diary by Wesley S. B. Woolhouse. Despite Kirkman's and Woolhouse's contributions to the problem, Steiner triple systems were named after Jakob Steiner who wrote a later paper in 1853. Kirkman's second research paper paper, in 1848, concerned hypercomplex numbers. Fifteen young ladies in a school walk out three abreast for seven days in succession: it is required to arrange them daily, so that no two shall walk twice abreast. 1624 Joao Baptista Lavanha (1550 in Portugal - 31 March 1624 in Madrid, Spain)Lavanha is said to have studied in Rome. He was appointed by Philip II of Spain to be professor of mathematics in Madrid in 1582. Philip had sent the Duke of Alba with an army to conquer Portugal in 1580 and soon realized that Portugal was more advanced in studies of navigation than Spain. In an attempt to correct this, Philip founded an Academy of Mathematics in Madrid with Lavanha as its first professor. From 1587 Lavanha became chief engineer to Philip II. He was appointed cosmographer to the king in 1596 and about the same time he moved to Lisbon where he taught mathematics to sailors and navigators. Lavanha is best known for his contributions to navigation. 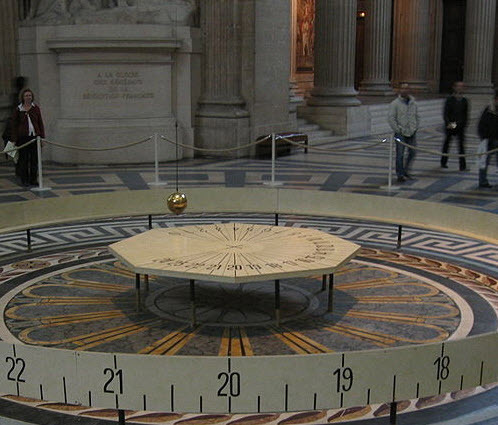 His book Regimento nautico gives rules for determining latitude and tables of declination of the Sun. He also worked on maps, producing some interesting new ideas. He produced a map of Aragon in about 1615. Among his publications was a translation of Euclid. 1776 John Bird (1709 – March 31, 1776), the well known mathematical instrument maker, was born at Bishop Auckland. He worked in London for Jonathan Sisson, and by 1745 he had his own business in the Strand. Bird was commissioned to make a brass quadrant 8 feet across for the Royal Observatory at Greenwich, where it is still preserved. Soon after, duplicates were ordered for France, Spain and Russia. Bird supplied the astronomer James Bradley with further instruments of such quality that the commissioners of longitude paid him £500 (a huge sum) on condition that he take on a 7-year apprentice and produce in writing upon oath, a full account of his working methods. This was the origin of Bird's two treatises The Method of Dividing Mathematical Instruments (1767) and The Method of Constructing Mural Quadrants (1768). Both had a foreword from the astronomer-royal Nevil Maskelyne. When the Houses of Parliament burned down in 1834, the standard yards of 1758 and 1760, both constructed by Bird, were destroyed. Harold Scott MacDonald Coxeter (9 Feb 1907 in London, England - 31 March 2003 in Toronto, Canada) graduated from Cambridge and worked most of his life in Canada. His work was mainly in geometry. In particular he made contributions of major importance in the theory of polytopes, non-euclidean geometry, group theory and combinatorics. Among his most famous geometry books are The real projective plane (1955), Introduction to geometry (1961), Regular polytopes (1963), Non-euclidean geometry (1965) and, written jointly with S L Greitzer, Geometry revisited (1967). He also published a famous work on group presentations, which was written jointly with his first doctoral student W O J Moser, Generators and relations for discrete groups. A mathematician is a person who can find analogies between theorems; a better mathematician is one who can see analogies between proofs and the best mathematician can notice analogies between theories. One can imagine that the ultimate mathematician is one who can see analogies between analogies. 1858 Pencil with attached eraser patented. It has benefited generations of mathematics students. The first patent for attaching an eraser to a pencil was issued to a man from Philadelphia named Hyman Lipman. This patent was later held to be invalid because it was merely the combination of two things, without a new use. I found a note at about.com that said that "Before rubber, breadcrumbs had been used to erase pencil marks." 1951 UNIVAC I turned over to Census Bureau. During ENIAC project, Mauchly met with several Census Bureau officials to discuss non-military applications for electronic computing devices. In 1946, with ENIAC completed, Mauchly and Eckert were able to secure a study contract from the National Bureau of Standards (NBS) to begin work on a computer designed for use by the Census Bureau. This study, originally scheduled for six months, took about a year to complete. The final result were specifications for the Universal Automatic Computer (UNIVAC). UNIVAC was, effectively, an updated version of ENIAC. Data could be input using magnetic computer tape (and, by the early 1950's, punch cards). It was tabulated using vacuum tubes and state-of-the-art circuits then either printed out or stored on more magnetic tape. Mauchly and Eckert began building UNIVAC I in 1948 and delivered the completed machine to the Census Bureau in March 1951. The computer was used to tabulate part of the 1950 population census and the entire 1954 economic census. Throughout the 1950's, UNIVAC also played a key role in several monthly economic surveys. The computer excelled at working with the repetitive but intricate mathematics involved in weighting and sampling for these surveys. 1862 Leonard James Rogers (30 March 1862, 12 Sept 1933) Rogers was a man of extraordinary gifts in many fields, and everything he did, he did well. 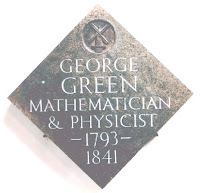 Besides his mathematics and music he had many interests; he was a born linguist and phonetician, a wonderful mimic who delighted to talk broad Yorkshire, a first-class skater, and a maker of rock gardens. He did things well because he liked doing them. Music was the first necessity in his intellectual life, and after that came mathematics. He had very little ambition or desire for recognition. 1921 Alfréd Rényi (20 March 1921 – 1 February 1970) was a Hungarian mathematician who made contributions in combinatorics, graph theory, number theory but mostly in probability theory. He proved, using the large sieve, that there is a number K such that every even number is the sum of a prime number and a number that can be written as the product of at most K primes. See also Goldbach conjecture. In information theory, he introduced the spectrum of Rényi entropies of order α, giving an important generalisation of the Shannon entropy and the Kullback-Leibler divergence. The Rényi entropies give a spectrum of useful diversity indices, and lead to a spectrum of fractal dimensions. The Rényi–Ulam game is a guessing game where some of the answers may be wrong. 1929 Ilya Piatetski-Shapiro (30 March 1929 – 21 February 2009) During a career that spanned 60 years he made major contributions to applied science as well as theoretical mathematics. In the last forty years his research focused on pure mathematics; in particular, analytic number theory, group representations and algebraic geometry. His main contribution and impact was in the area of automorphic forms and L-functions. Four horizontal and five vertical lines were painted or carved on the calculating boards to represent the decimal values in ascending order. The arithmetical sums were worked out with the help of coin-like counters. They were placed on the respective lines according to the values of the numbers and then, depending on the calculation, these were moved, removed or added to the lines until the final result could be read off. No numbers were printed on the counters; they amounted to as much as the line on which they were placed. No copy of the first edition of this book has survived, the earliest that we have is the second of the four editions which was published in 1525. Thony Christie pointed out to me that the German Wikipedia gives his date of death as April 2. He also has confirmed that the phrase "das macht nach Adam Ries" (That's according to Adam Ries) is still used in Germany to indicate something is done correctly, sort of like the American idiom, "according to Hoyle." And here is the amazing story of how he was billed for his television license over 450 years after his death. 1995 John Lighton Synge (March 23, 1897–March 30, 1995) was an Irish mathematician and physicist. Synge made outstanding contributions to different fields of work including classical mechanics, general mechanics and geometrical optics, gas dynamics, hydrodynamics, elasticity, electrical networks, mathematical methods, differential geometry, and Einstein's theory of relativity. He studied an extensive range of mathematical physics problems, but his best known work revolved around using geometrical methods in general relativity. He was one of the first physicists to seriously study the interior of a black hole, and is sometimes credited with anticipating the discovery of the structure of the Schwarzschild vacuum (a black hole). 2000 George Keith Batchelor FRS (8 March 1920 – 30 March 2000) was an Australian applied mathematician and fluid dynamicist. He was for many years the Professor of Applied Mathematics in the University of Cambridge, and was founding head of the Department of Applied Mathematics and Theoretical Physics (DAMTP). In 1956 he founded the influential Journal of Fluid Mechanics which he edited for some forty years. Prior to Cambridge he studied in Melbourne High School. As an applied mathematician (and for some years at Cambridge a co-worker with Sir Geoffrey Taylor in the field of turbulent flow), he was a keen advocate of the need for physical understanding and sound experimental basis. first image obtained by NASA’s Dawn spacecraft . 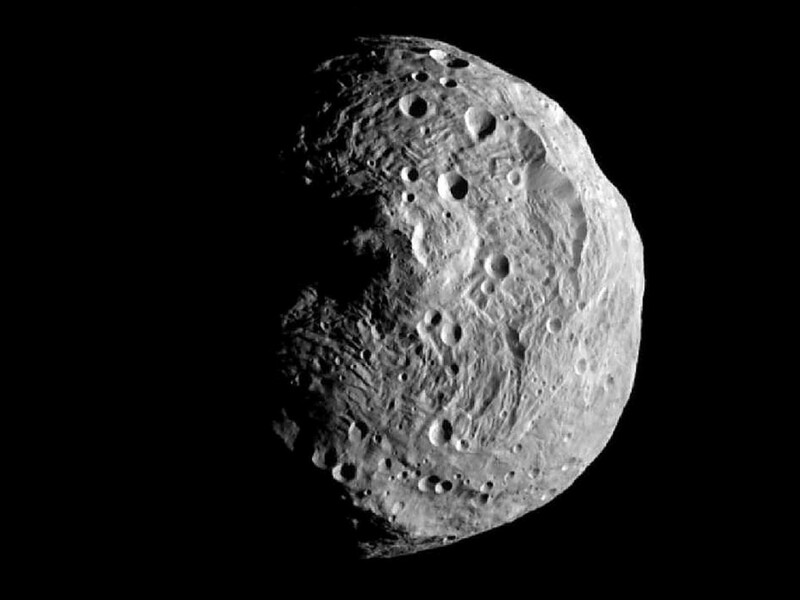 In 1807, Vesta 4, the only asteroid visible to the naked eye, thus the brightest on record, was first observed by the amateur astronomer Heinrich Wilhelm Olbers from Bremen. Vesta is a main belt asteroid with a diameter of 525-km and a rotation period of 5.34 hours. Pictures taken by the Hubble Space Telescope in 1995 show Vesta's complex surface, with a geology similar to that of terrestrial worlds - such as Earth or Mars - a surprisingly diverse world with an exposed mantle, ancient lava flows and impact basins. Though no bigger than the state of Arizona, it once had a molten interior. This contradicts conventional ideas that asteroids essentially are cold, rocky fragments left behind from the early days of planetary formation. *TIS Since the discovery of Ceres in 1801, and the asteroid Pallas in 1802, he had corresponded and became close friends with Gauss. For that reason he allowed Gauss to name the new "planet". 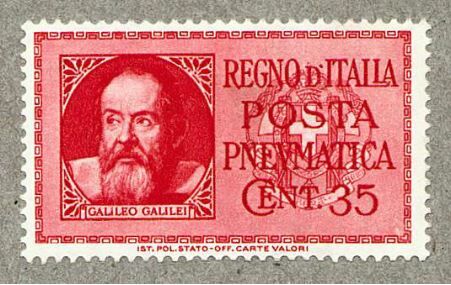 Galileo Galilei (1564–1642) made his first appearance on this stamp in 1933 for use in pneumatic postal systems (hence the wording “Posta Pneumatica” on the stamp). Pneumatic post involved placing letters in canisters which were then shot along pipes by compressed air from one Post Office to another. Pneumatic postal systems were set up in several European and American cities, including Rome, Naples, and Milan. Italy was the only country to issue stamps specifically for pneumatic postal use. Two of the designs showed Galileo – this one and a modified version with different face value and colour issued in 1945. The portrait is based on one by Justus Sustermans painted in 1636 when Galileo was aged 72. *Ian Ridpath, World's Oldest Astro Stamps page. 1825 Francesco Faà di Bruno (29 March 1825–27 March 1888) was an Italian mathematician and priest, born at Alessandria. He was of noble birth, and held, at one time, the rank of captain-of-staff in the Sardinian Army. He is the eponym of Faà di Bruno's formula. In 1988 he was beatified by Pope John Paul II. Today, he is best known for Faà di Bruno's formula on derivatives of composite functions, although it is now certain that the priority in its discovery and use is of Louis François Antoine Arbogast: Faà di Bruno should be only credited for the determinant form of this formula. However, his work is mainly related to elimination theory and to the theory of elliptic functions. 1893 Jason John Nassau (29 March 1893 in Smyrna, (now Izmir) Turkey - 11 May 1965 in Cleveland, Ohio, USA) was an American astronomer. He performed his doctoral studies at Syracuse, and gained his Ph.D. mathematics in 1920. (His thesis was Some Theorems in Alternants.) He then became an assistant professor at the Case Institute of Technology in 1921, teaching astronomy. He continued to instruct at that institution, becoming the University's first chair of astronomy from 1924 until 1959 and chairman of the graduate division from 1936 until 1940. After 1959 he was professor emeritus. 1912 Martin Eichler (29 March 1912 – 7 October 1992) was a German number theorist. He received his Ph.D. from the Martin Luther University of Halle-Wittenberg in 1936. 1944 Grace Chisholm Young (née Chisholm; 15 March 1868 – 29 March 1944) was an English mathematician. She was educated at Girton College, Cambridge, England and continued her studies at Göttingen University in Germany. Her early writings were published under the name of her husband, William Henry Young, and they collaborated on mathematical work throughout their lives. For her work on calculus (1914–16), she was awarded the Gamble Prize. ... it was a measure of good sense that he accepted my argument that a PhD, even from Cambridge, was little evidence of research ability, and that Cambridge had at that time little to teach him in statistics that could not be much better learnt from practical work in a research institute. Cochran accepted the post at Rothamsted where he worked for 5 years on experimental designs and sample survey techniques. During this time he worked closely with Yates. At this time he also had the chance to work with Fisher who was a frequent visitor at Rothamsted. Cochran visited Iowa Statistical Laboratory in 1938, then he accepted a statistics post there in 1939. His task was to develop the graduate programe in statistics within the Mathematics Department. In 1943 he joined Wilks research team at Princeton. At Princeton he was involved in war work examining probabilities of hits in naval warfare. By 1945 he was working on bombing raid strategies. He joined the newly created North Carolina Institute of Statistics in 1946, again to develop the graduate programe in statistics. From 1949 until 1957 he was at Johns Hopkins University in the chair of biostatistics. Here he was more involved in medical applications of statistics rather than the agricultural application he had studied earlier. 1983 Sir Maurice George Kendall, FBA (6 September 1907 – 29 March 1983) was a British statistician, widely known for his contribution to statistics. The Kendall tau rank correlation is named after him. *Wik He was involved in developing one of the first mechanical devices to produce (pseudo-) random digits, eventually leading to a 100,000-random-digit set commonly used until RAND's (once well-known) "A Million Random Digits With 100,000 Normal Deviates" in 1955. 1999 Boris A. Kordemsky ( 23 May 1907 – 29 March, 1999) was a Russian mathematician and educator. He is best known for his popular science books and mathematical puzzles. He is the author of over 70 books and popular mathematics articles. Kordemsky received Ph.D. in education in 1956 and taught mathematics at several Moscow colleges. `The introduction of the cipher 0 or the group concept was general nonsense too, and mathematics was more or less stagnating for thousands of years because nobody was around to take such childish steps ...'. The 87th day of the year; the sum of the squares of the first four primes is 87. 1959 Germany issued a stamp commemorating the 400th anniversary of the death of Adam Riese [Scott #799] *VFR I understand that the German expression "nach Adam Riese", is still used today. It means "according to Adam Ries" and it is used in saying something is exactly correct. 2012 First day of the baseball season. The exact width of home plate is irrational: 12 times the square root of two. 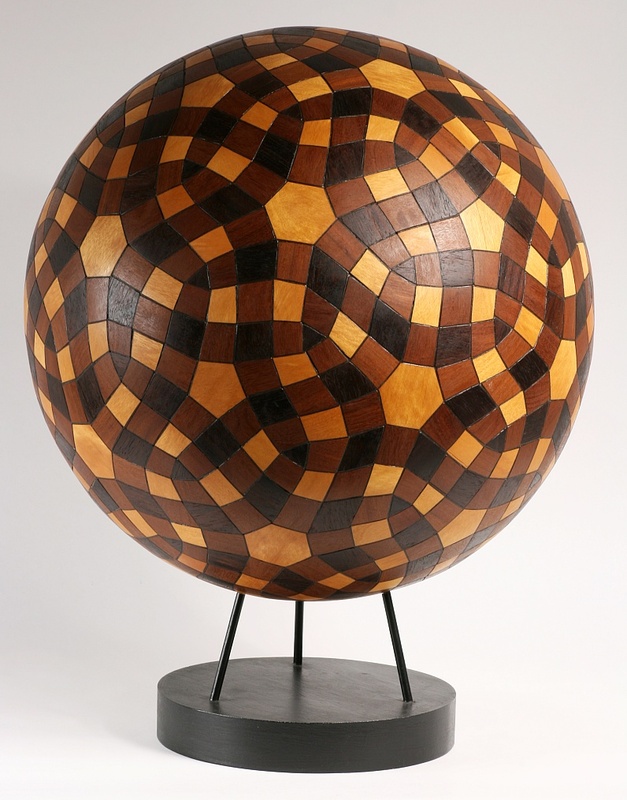 History: The plate was originally a circle of diameter one, then a square of the same size(! ), which, by mistake was a one-by-one square. Then the corners were filled in to make the current pentagonal plate. *VFR Home plate is an irregular pentagon. The front is 17 inches wide, faces the pitcher, and defines the width of the strike zone. Then parallel sides 8.5 inches long connect to the foul lines. Finally 12 inch sides run down the foul lines, connecting where the foul lines meet. The latter is more likely the case, as it would produce the angle measurements of 90º at the base and rear point and 135º at the sides. 1923 Israel Nathan Herstein (March 28, 1923, Lublin, Poland – February 9, 1988, Chicago, Illinois) was a mathematician, appointed as professor at the University of Chicago in 1951. He worked on a variety of areas of algebra, including ring theory, with over 100 research papers and over a dozen books. 1928 Alexander Grothendieck (28 Mar 1928-13 November 2014) In 1966 he won a Fields Medal for his work in algebraic geometry. He introduced the idea of K-theory and revolutionized homological algebra. Within algebraic geometry itself, his theory of schemes is used in technical work. His generalization of the classical Riemann-Roch theorem started the study of algebraic and topological K-theory. His construction of new cohomology theories has left consequences for algebraic number theory, algebraic topology, and representation theory. His creation of topos theory has appeared in set theory and logic. One of his results is the discovery of the first arithmetic Weil cohomology theory: the ℓ-adic étale cohomology. This result opened the way for a proof of the Weil conjectures, ultimately completed by his student Pierre Deligne. To this day, ℓ-adic cohomology remains a fundamental tool for number theorists, with applications to the Langlands program. 1850 Bernt Michael Holmboe (23 March 1795 – 28 March 1850) was a Norwegian mathematician. Holmboe was hired as a mathematics teacher at the Christiania Cathedral School in 1818, where he met the future renowned mathematician Niels Henrik Abel. Holmboe's lasting impact on mathematics worldwide has been said to be his tutoring of Abel, both in school and privately. The two became friends and remained so until Abel's early death. Holmboe moved to the Royal Frederick University in 1826, where he worked until his own death in 1850. Shortly after his arrival at Northwestern, one of the professors in describing Northwest's mathematics program to him remarked that in the honours course Felix Klein's 'Elementary mathematics from an advanced standpoint' was used as a text and "perhaps Hellinger was familiar with it". At this Hellinger ... replied "familiar with it, I wrote it!". Modern science, as training the mind to an exact and impartial analysis of facts, is an education specially fitted to promote citizenship. 1850 Wilhelm Beer (4 Jan 1797, 27 Mar 1850 at age 53) German banker and amateur astronomer who owned a fine Fraunhofer refractor which he used in his own a private observatory. He worked jointly with Johann Heinrich von Mädler, to produce the first large-scale moon map to be based on precise micrometric measurements. Their four-year effort was published as Mappa Selenographica (1836). This fine lithographed map provided the most complete details of the Moon's surface in the first half of the 19th century. It was the first lunar map divided in quadrants, and recorded the Moon's face in great detail detail. It was drawn to a scale of scale of just over 38 inches to the moon's diameter. Mädler originated a convention for naming minor craters with Roman letters appended to the name of the nearest large crater (ex. Egede A,B, and C). 1888 Francesco Faà di Bruno (29 March 1825–27 March 1888) was an Italian mathematician and priest, born at Alessandria. He was of noble birth, and held, at one time, the rank of captain-of-staff in the Sardinian Army. He is the eponym of Faà di Bruno's formula. In 1988 he was beatified by Pope John Paul II. Today, he is best known for Faà di Bruno's formula on derivatives of composite functions, although it is now certain that the priority in its discovery and use is of Louis François Antoine Arbogast: Faà di Bruno should be only credited for the determinant form of this formula. However, his work is mainly related to elimination theory and to the theory of elliptic functions. 1925 Carl Gottfried Neumann,(7 May 1832 in Königsberg, Germany (now Kaliningrad, Russia) - 27 March 1925 in Leipzig, Germany) He worked on a wide range of topics in applied mathematics such as mathematical physics, potential theory and electrodynamics. He also made important pure mathematical contributions. He studied the order of connectivity of Riemann surfaces. “Have you seen the world go around?" Every human activity, good or bad, except mathematics, must come to an end. 1760 Guillaume le Gentil sailed from France planning to view the transit of Venus the following year from the east coast of India. Monsoons blew his ship off course, and on the day of the transit, he was becalmed in the Indian Ocean, unable to make any useful observations. Determined to redeem his expedition he books passage to India and builds an observatory to await the 1769 transit in Pondecherry. 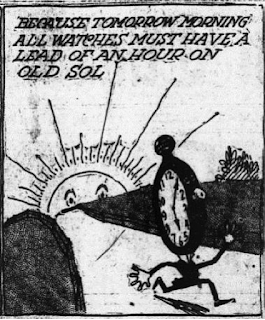 "The sky remained marvelously clear throughout May, only to cloud over on June 4, the morning of the transit, then clear again as soon as the transit was over." 1985 Alexander's Star is a puzzle similar to the Rubik's Cube, in the shape of a great dodecahedron. Alexander's Star was invented by Adam Alexander, an American mathematician, in 1982. It was patented on 26 March 1985, with US patent number 4,506,891, and sold by the Ideal Toy Company. It came in two varieties: painted surfaces or stickers. Since the design of the puzzle practically forces the stickers to peel with continual use, the painted variety is likely a later edition. 1994, A picture was released showing the first moon discovered to be in orbit around an asteroid. The potato-shaped asteroid Ida and its newly-discovered moon, Dactyl was imaged by NASA's Galileo spacecraft, about 14 minutes before its closest approach to the asteroid on 28 Aug 1993. Ida appears to be about about 36 miles long and 14 miles wide. It shows numerous craters, including many degraded craters, indicating Ida's surface is older than previously thought. The tiny moon is about one mile (1.5-km) across. The names are derived from the Dactyli, a group of mythological beings who lived on Mount Ida, where the infant Zeus was hidden (and raised, in some accounts) by the nymph Ida and protected by the Dactyli. 1803 Sir John William Lubbock, (London, England, 26 March 1803 - Downe, Kent, England, 20 June 1865 )English astronomer and mathematician. He made a special study of tides and of the lunar theory and developed a method for calculating the orbits of comets and planets. In mathematics he applied the theory of probability to life insurance problems. He was a strong proponent of Continental mathematics and astronomy. Lubbock, third Baron Lubbock, was born into a London banking family. After attending Eton, he moved to Trinity College, Cambridge, where he became a student of William Whewell. (it was at the request of Lubbock that Whewell created the term "biometry".) He excelled in mathematics and traveled to France and Italy to deepen his knowledge of the works of Pierre-Simon de Laplace and Joseph Lagrange. Entering his father’s banking firm as a junior partner, he devoted his free time to science. It is now generally recognised that for most purposes the nomographic methods are superior to the older graphical methods of calculation. The introduction of some nomographic teaching in British Universities (and schools, for much of it is not too hard for schoolboys) is much to be desired. Nomographs are still used in wide areas of science and technology. The book below is an excellent coverage of the history and modern usage. 1908 Theodore Samuel Motzkin (26 March 1908–15 December 1970) was an Israeli-American mathematician. Motzkin received his Ph.D. in 1934 from the University of Basel under the supervision of Alexander Ostrowski. He was appointed at UCLA in 1950 and worked there until retirement. The Motzkin transposition theorem, Motzkin numbers and the Fourier–Motzkin elimination are named after him. Motzkin first developed the "double description" algorithm of polyhedral combinatorics and computational geometry. He was the first to prove the existence of principal ideal domains that are not Euclidean domains. McGill University Professor Willy Moser, a friend and collaborator of Erdos, tells of the "trial" of hosting Erdos. Once when Erdos was staying with him, Moser set up five dinners for him with five of erdos' old friends. Moser's wife pointed out that after the many times he had visited these homes and never brought a gift, perhaps Moser should remind him to bring candy or flowers. When he suggested the idea to Erdos, he thought it was a great idea and asked Moser, "Would you pick me up five boxes of chocolates?" 1922 Guido Stampacchia (March 26, 1922 - April 27, 1978) was a 20th century mathematician. Stampacchia was active in research and teaching throughout his career. He made key contributions to a number of fields, including calculus of variation and differential equations. In 1967 Stampacchia was elected President of the Unione Matematica Italiana. It was about this time that his research efforts shifted toward the emerging field of variational inequalities, which he modeled after boundary value problems for partial differential equations. 1938 Sir Anthony James (Tony) Leggett (26 March 1938, ), has been a Professor of Physics at the University of Illinois at Urbana-Champaign since 1983. 1609 John Dee (13 July 1527– *SAU gives 26 March 1609 in Mortlake, London, England) was an English mathematician, astronomer, astrologer, occultist, navigator, imperialist and consultant to Queen Elizabeth I. He devoted much of his life to the study of alchemy, divination and Hermetic philosophy. Dee straddled the worlds of science and magic just as they were becoming distinguishable. One of the most learned men of his age, he had been invited to lecture on advanced algebra at the University of Paris while still in his early twenties. Dee was an ardent promoter of mathematics and a respected astronomer, as well as a leading expert in navigation, having trained many of those who would conduct England's voyages of discovery. Simultaneously with these efforts, Dee immersed himself in the worlds of magic, astrology and Hermetic philosophy. He devoted much time and effort in the last thirty years or so of his life to attempting to commune with angels in order to learn the universal language of creation and bring about the pre-apocalyptic unity of mankind. A student of the Renaissance Neo-Platonism of Marsilio Ficino, Dee did not draw distinctions between his mathematical research and his investigations into Hermetic magic, angel summoning and divination. Instead he considered all of his activities to constitute different facets of the same quest: the search for a transcendent understanding of the divine forms which underlie the visible world, which Dee called "pure verities". I have Woolley's book, and enjoyed it. 1974 Edward Uhler Condon (March 2, 1902 – March 26, 1974) was a distinguished American nuclear physicist, a pioneer in quantum mechanics, and a participant in the development of radar and nuclear weapons during World War II as part of the Manhattan Project. The Franck–Condon principle and the Slater–Condon rules are named after him. During the McCarthy period, when efforts were being made to root out communist sympathizers in the United States, Edward Condon was a target of the House Un-American Activities Committee on the grounds that he was a 'follower' of a 'new revolutionary movement', quantum mechanics; Condon defended himself with a famous commitment to physics and science. Condon became widely known in 1968 as principal author of the Condon Report, an official review funded by the United States Air Force that concluded that unidentified flying objects (UFOs) have prosaic explanations. The lunar crater Condon is named for him. 1966 Anna Johnson Pell Wheeler (5 May 1883 in Calliope (now Hawarden), Iowa, USA - 26 March 1966 in Bryn Mawr, Pennsylvania, USA) In 1899 she entered the University of South Dakota where she showed great promise in mathematics. The professor of mathematics, Alexander Pell, recognised her talents and helped persuade Anna Johnson that she should follow a career in mathematics. She received an A.B. degree in 1903. After winning a scholarship to study for her master's degrees at the University of Iowa, she was awarded the degree for a thesis The extension of Galois theory to linear differential equations in 1904. A second master's degree from Radcliffe was awarded in 1905 and she remained there to study under Bôcher and Osgood. Anna Johnson was awarded the Alice Freeman Palmer Fellowship from Wellesley College to study for a year at Göttingen University. There she attended lectures by Hilbert, Klein, Minkowski, Herglotz and Schwarzschild. She worked for her doctorate at Göttingen. While there Alexander Pell, her former mathematics professor came to Göttingen so that they could marry. After returning to the United States, where her husband was by now Dean of Engineering, she taught courses in the theory of functions and differential equations. In 1908 Anna Pell returned to Göttingen where she completed the work for her doctorate but, after a disagreement with Hilbert, she returned to Chicago, where her husband was now on the university staff, without the degree being awarded. At Chicago she became a student of Eliakim Moore and received her Ph.D. in 1909, her thesis Biorthogonal Systems of Functions with Applications to the Theory of Integral Equations being the one written originally at Göttingen. From 1911 Anna Pell taught at Mount Holyoke College and then at Bryn Mawr from 1918. Anna Pell's husband Alexander, who was 25 years older than she was, died in 1920. In 1924 Anna Pell became head of mathematics when Scott retired, becoming a full professor in 1925. After a short second marriage to Arthur Wheeler, during which time they lived at Princeton and she taught only part-time, her second husband died in 1932. After this Anna Wheeler returned to full time work at Bryn Mawr where Emmy Noether joined her in 1933. However Emmy Noether died in 1935. The period from 1920 until 1935 certainly must have been one with much unhappiness for Anna Wheeler since during those years her father, mother, two husbands and close friend and colleague Emmy Noether died. Anna Wheeler remained at Bryn Mawr until her retirement in 1948. The direction of Anna Wheeler's work was much influenced by Hilbert. Under his guidance she worked on integral equations studying infinite dimensional linear spaces. This work was done in the days when functional analysis was in its infancy and much of her work has lessened in importance as it became part of the more general theory. Perhaps the most important honour she received was becoming the first woman to give the Colloquium Lectures at the American Mathematical Society meetings in 1927.